While he was sailing up the Bosphorus, he remembered the words of the oracle as he noticed the colony on the Asian shore at Chalcedon. Then on the European shore he saw the small fishing village of Lygos. It was built on a magnificent and easily fortified natural harbour of the Golden Horn. 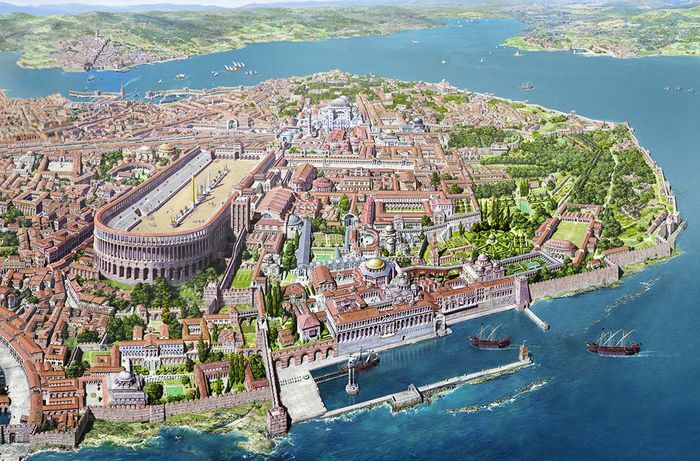 Thinking, as legend has it, that the settlers of Chalcedon must have been blind to disregard such a good and strategic position, Byzas and his fellows settled their new town there and named it after its founder Byzas, Byzantium. The article above has been taken from http://istanbulday.com. To read more, please click on the following link Istanbul daily tours.